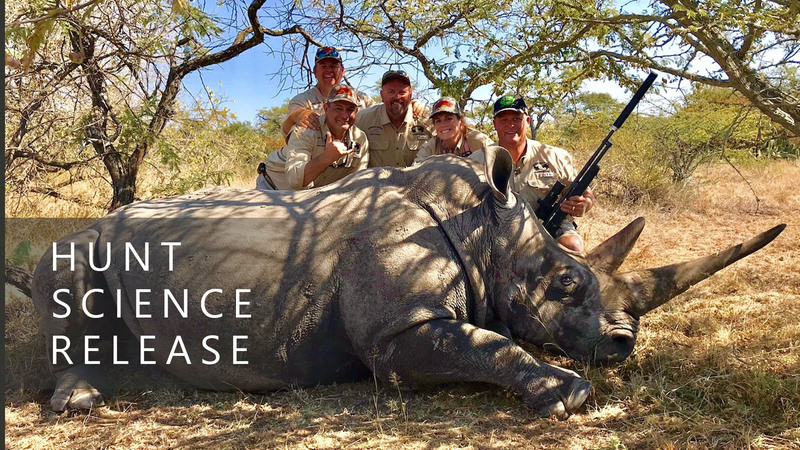 Limpopo, South Africa – On May 12, 2018, Bisbee’s Fish and Wildlife Conservation Fund (BF&WCF) along with Daggaboy Safaris of South Africa hosted a “catch-and-release” conservation dart-hunt for a white rhino. 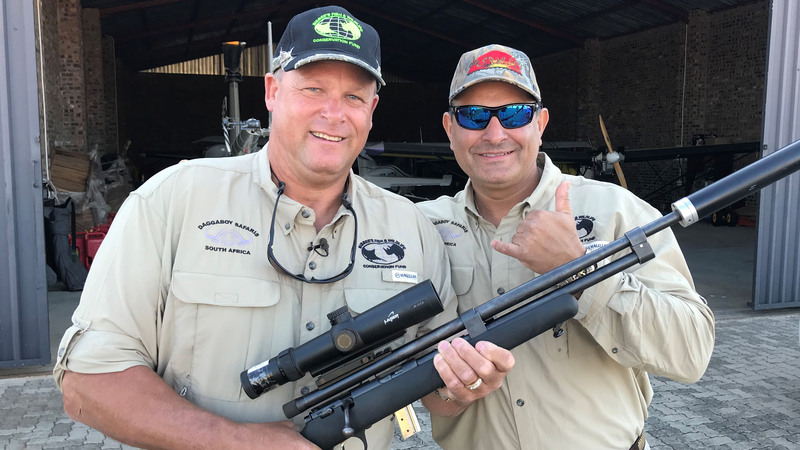 In what was an auction fundraiser, Canadian businessman Brian Walley and Texas businessman Luis Zumaeta teamed up and their winning $21,000. USD bid won them the opportunity to successfully hunt and dart a white rhino at a reserve just outside the town of Polokwane, in the Limpopo Province of South Africa. The exact location of the rhino reserve is being withheld for rhino security purposes. All proceeds from the hunt go towards BF&WCF’s wildlife conservation efforts. The world’s rhino populations have been decimated in recent years by an escalating amount of illegal poaching. This is because of a belief in some Asian countries that rhino horn, if ingested, can cure a myriad of illnesses ranging from cancer to erectile disfunction. Modern science has proved this to be 100% false, however this belief has created a black market value of up to $400,000 USD for a single horn putting the entire species in peril. This is especially devastating to South Africa’s rhino since the majority of the world’s remaining populations reside there. In order to ensure the continued proliferation of the species, veterinarians must sometimes examine and treat rhino, and catch-and-release hunting provides the perfect opportunity to do so. While sedated, this particular rhino received a well-being check, and had blood samples drawn to map DNA, test for diseases in the herd, and in this case, check for pregnancy since the animal was a fully mature, 5,000+ pound female. For security and traceability purposes, a micro-chip was also placed into the horn of the animal. Various vaccinations were also dispensed. 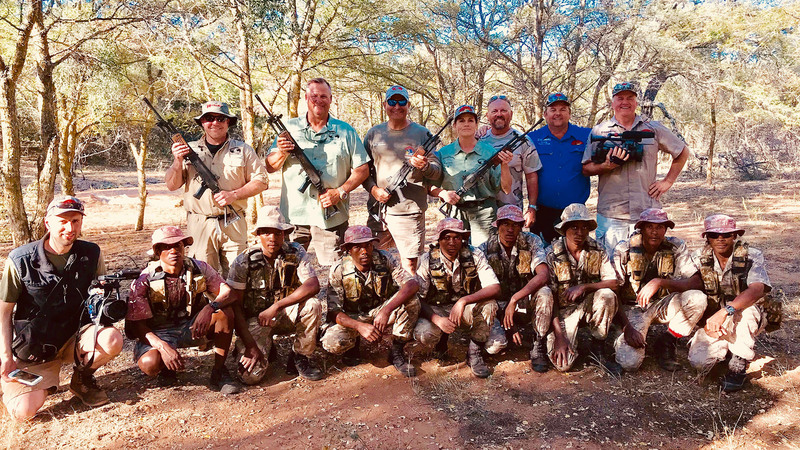 During their African rhino safari, the team was also able to visit the BF&WCF’s Nkwe Tactical Training Academy, which is an anti-rhino poaching ranger training base located near by, on the Thaba Nkwe Reserve. There, project director Simon Rood gave a training facility tour that included various live-fire demonstrations to show how raw recruits are turned into fully certified, operational field rangers. Much to their enlightenment, the guests were invited to actively participate in some of these shooting drills and have enlightening conversations with the rangers and recruits. Acclaimed videographer Rich Christensen of RK Creative Productions (formerly of National Geographic’s successful Expedition Great White, and Shark Men TV Series) was on site to capture the entire experience on video along with Scott Stirling and his crew from The Edge television show and Wild TV Canada. Bisbee’s Fish & Wildlife Conservation Fund, Inc. is a nonprofit corporation that adheres to the Texas Business Organizations Code and is tax-exempt under Section 501(c)(3) of the Internal Revenue Code. The Bisbee’s Fish and Wildlife Conservation Fund is currently involved with multiple campaigns, including Project: Save the Rhino in South Africa, where their Nkwe Tactical Training Academy turns raw recruits into fully certified and licensed operational Field Rangers to fight the rhino poaching epidemic there, the revolutionary Project iTAG which incorporates radio frequency identification (RFID) chips into the traditional 50+ year old fish tags bringing fisheries sciences into the 21st century. They have also established a scholarship program for exotic wildlife management and marine sciences research candidates. For more information, visit http://bisbeesconservationfund.org/. Additional photos and participant interviews are available upon request.